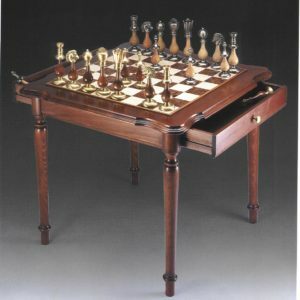 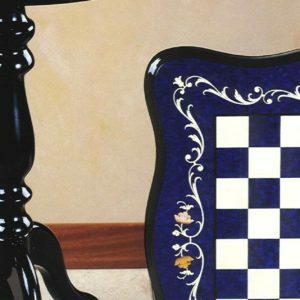 What’s better to play chess than a beautiful chess table maybe Made in Italy? 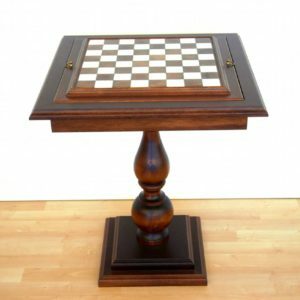 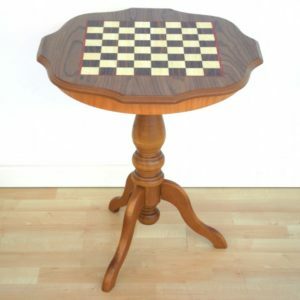 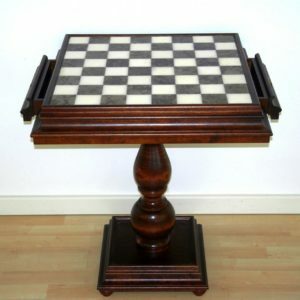 Our Italian chess tables are not only beautiful but also practical and well-made. 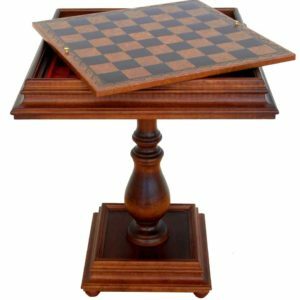 The table is built with specific characteristics, with specific dimensions that make it perfect for your games with friends and elegant piece of furniture in your homes. 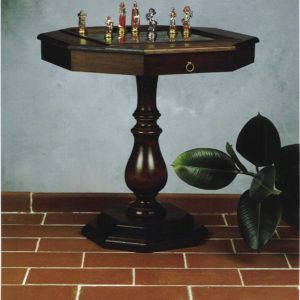 The shape can be square or circular, to remember the old games that were held in taverns on improvised tables drawn on small barrels. 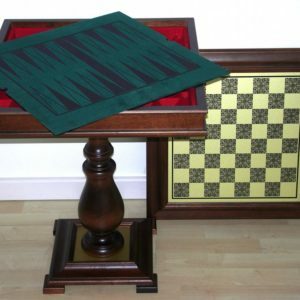 with a folding board to also have backgammon, with drawers to hold the pieces when not in use and many others. 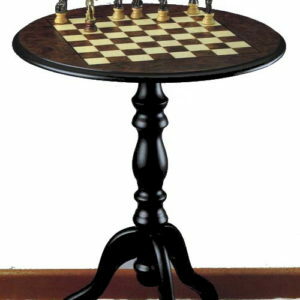 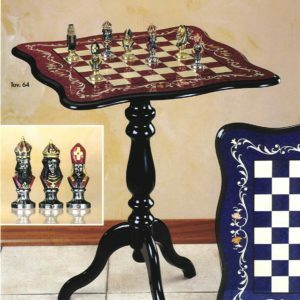 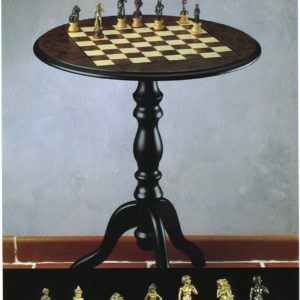 Also materials are may, there are Italfama chess tables in wood or metal, ranging from the simplest to the most expensive and refined, finished in gold and silver ad a luxury chess set by Pietro Benzoni. 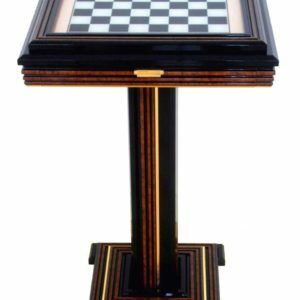 Among the available you can find made of solid wood with rosewood, cedar and mahogany which is also one of the most used woods for its color and its resistance.